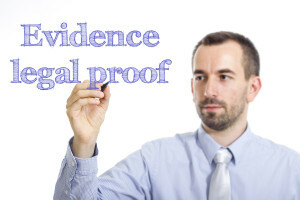 Evidence is one of the principal tools used in the majority of criminal and civil cases around the United States. Because of the power that evidence has in a trial, however, corrupt government officials and law enforcement may fabricate evidence to bring about a desired conviction. Under the Fourth Amendment of the Constitution, every American citizen is guaranteed the right against unreasonable searches and seizures. As such, taking away a person’s rights of due process (14th Amendment) and unreasonable seizure (via fabricated evidence) is a federal crime. If you or a loved one was convicted of a crime due to (what you believe to be) fabricated evidence, it is essential to acquire an experienced and willful civil rights attorney to challenge the government powers. In these cases, we may be up against the reputations, careers, and livelihoods of law enforcement, prosecutors, or local, state, and federal government officials. Or, on the other hand, the fabricated evidence was placed by some other party, hoping to put the alleged offender away for a crime he/she didn’t commit. Nonetheless, the Civil Rights Litigation Group is prepared to handle these cases with professionalism and the utmost competence. During a trial, evidence is brought forward to either prove or disprove the alleged offender’s claims as well as the claims of witnesses. In other words, evidence gives credence to the stories told on the stand. Unfortunately, fabricated evidence can be both easy and extremely difficult to catch. Sometimes, the evidence is contrary to the entire narrative, while in other cases, the evidence so seamlessly blends into the story that hints of its fabrication are expertly hidden. If you do suspect that someone fabricated evidence, there are few careful routes you can take. The first, however, should be to contact an experienced attorney who can look into the case, investigate the circumstances surrounding the evidence in question, and confirm or deny the plausibility that evidence was, in fact, fabricated. With your attorney, the next step may be to appeal the case with documented and clear facts showing the fabrication of evidence, or we may need to file a color of law complaint with the local FBI office, either by telephone, writing, or in person. At Civil Rights Litigation Group, we are adamant about protecting the rights of everyone, and due to fabricated evidence in hundreds of cases across the State of Colorado, there are numerous innocent men and women locked up behind bars. Fortunately, with years of experience in Denver courts, civil rights attorney Raymond Bryant is confident that he can find the faults and the rights violations in your case. To get Denver’s leading civil rights attorney on your case, contact the Civil Rights Litigation Group at (720) 515-6165.